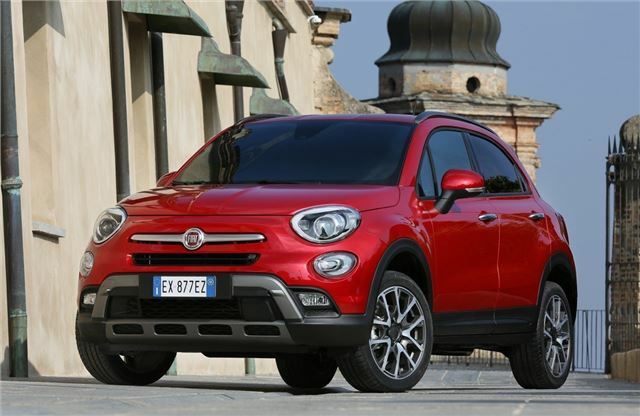 The Fiat 500X is a small crossover. But the small crossover is the vogue niche, and it’s exploding. What Nissan started with the Juke, Renault, Ford, MINI, Peugeot and Vauxhall have already copied while Mazda and Suzuki are but two manufacturers about to throw their own 4x4-style small hatchbacks into the ring. So, in this high-riding tide, Fiat needs a USP to stand out. And it has one ready-made: the 500 brand. With its espresso-sized cutesy quirkiness, the 500 oeuvre is easily grafted onto a small crossover, and so the 500X is born. It is definitely not a replacement for the Fiat Sedici. Definitely not. The 500X is 'the only compact crossover with an iconic DNA,' according to Fiat boss Olivier Francois at the car’s launch event. Shortly after saying that, he trotted out an X-Factor link: 'it has the X-factor, [making it] a good omen for young talent.' Some might alternatively suggest that the X-Factor shamelessly glorifies and overhypes the run-of-the-mill, often by associating it with an act that’s currently very successful. Cynical marketing ploy or not, making this small crossover look like a fat Fiat 500 will undoubtedly play in its favour – especially to the yummy mummy set. That’s a cliché too, of course, but with 500 overall sales split already about 70/30 women-to-men, there’s no doubt that Fiat will be looking to the young mums for whom a regular 500 is just too small, a 500L just too ‘mumsy’, and a Countryman too expensive. The other thing is, it’s a better car than the Juke, up there with the Countryman at the pinnacle of the small crossover set. The quality is on par with the MINI’s, far more soft-touch than you’d expect, and despite its style-led cabin, the substance of intuitive controls, a wide-ranging driving position, and good old interior space are present and correct. It’s not perfect, though. While stating that Fiat sees the 500X more as a Juke rival than a Countryman one, Fiat says it’s pitching the 500X at the ‘value’ end of the market, as opposed to the ‘budget’ end. That’s a euphemism for 'it costs more than most of the other small crossovers, but hopefully you won’t mind paying' and scrutiny of the 500X price list reveals it begins quite low, circa £14,500 – but ends very high, at £26,000 for a top-of-the-range one with no options. Ouch. But the 500X does, undoubtedly, feel like a quality product, and one that will prove a lot of fun to live with. The boot is optionally twin-floored and boasts a family hatchback sized loading area of 350 litres. Headroom is ample front and rear plus the rear bench has enough knee room for adult persons. There's also plenty of oddment storage in the cabin while the dashboard button layout is bold and clear. As always, choosing the right version for you will come down to the balance of your requirements, your ego and your budget. If your 500X must have all-wheel drive, the sacrifices will be notable: 4x4 versions are only available in SUV-light Cross specification with the 2.0-litre Multijet diesel, and start at £24,000. The belt-driven 1.4-litre MultiAir 120PS turbo petrol 500X, front-wheel drive, is the most enjoyable version, lacking the all-too-audible chuntering low-rev grumble of both diesels, but with its 230Nm peak torque coming at the same, very low 1750rpm. So equipped, the 500X drives with the good fun, easy-to-point characteristic you’d expect of any well-engineered small hatchback. The standard six-speed manual gearbox moves slots in and out just fine, though those with a hankering not to change gear will find themselves in the electronic hands of a nine-speed automatic gearbox. It’s as excessive as it sounds – quick to change but, unsurprisingly, changing constantly, shuffling through numbers like a Countdown contestant. There are two distinct styles of 500X to choose from. The ‘standard’ version comes in three specifications, from Pop, through Pop Star and to range-topping Lounge. Beyond those are Cross and Cross Plus versions, which are styled with a nod to off-roading, including front and rear bumpers shaped for greater approach angles, and protective skid plates. Only Cross versions are available in 4x4. Overall the Fiat 500X is a good execution of an obvious concept. Ride aside, the 500X does everything well, and does it with the sort of pizzazz that only the grand old Juke and the Countryman match. Once again, Fiat has added some welcome character into a segment sorely lacking it – and with substance.